If you are in search of a capable SUV in the Denver area, we recommend the 2018 Jeep Grand Cherokee. 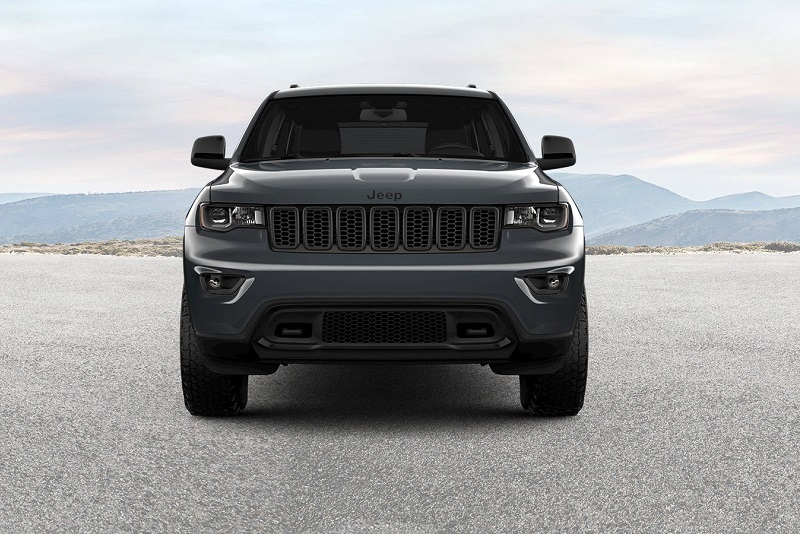 The 2018 model offers three available packages the include the Trailhawk Luxury Group, the Skid Plate Group, and the Luxury Group II. There is also an available 2018 Cherokee Sterling Edition that commemorates 25 yeas since the Grand Cherokee has been in production. Other trims that are offered with the 2018 Grand Cherokee include the Overland, High Altitude, Trackhawk, SRT, Laredo, Overland, Limited, but this review will primarily focus on the 2018 Jeep Grand Cherokee Upland. We invite you to test drive the 2018 Grand Cherokee Upland at our authorized dealership serving Denver Thornton Boulder. Let’s take a look at what the 2018 Upland model has to offer. The exterior features that are included with the 2018 model are innovative with a stylish appeal. The optional Automatic High-Beam Headlamps can detect brightness and ambient light from oncoming vehicles and instantly alter the beam intensity. Other lighting features that are offered with the 2018 Grand Cherokee include Bi-Xenon High-Intensity Discharge (HID) Headlamps, premium LED fog lamps, an Automatic Headlamp Leveling System, and LED daytime running lamps. You can also opt for the available CommandView dual-pane panoramic sunroof that includes a power sliding glass front panel and a fixed rear panel for superior viewing capability. 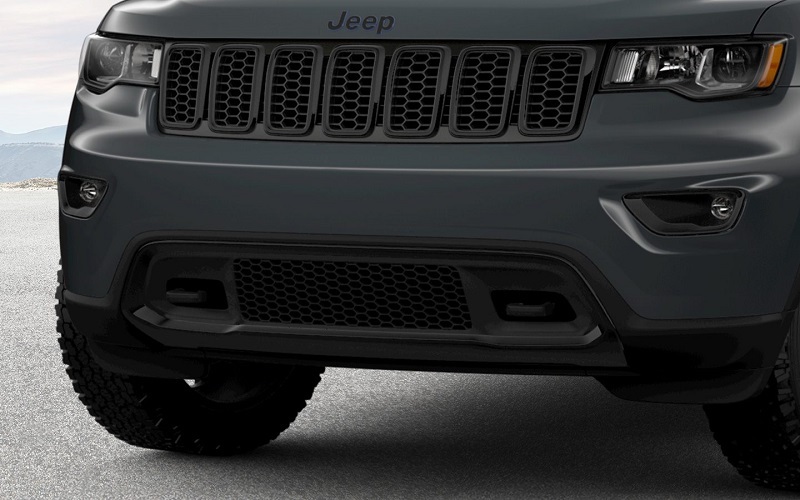 The 2018 Jeep Grand Cherokee Upland include gloss black finish and gloss black badging with desert sky accents, black tow hooks, and 20-inch fully painted black aluminum wheels that include all-terrain tires. If you want to check out the Upland’s exterior, stop by our dealership near Denver. The interior of the 2018 Grand Cherokee offers ample space and a variety of refined features. The interior comes with an innovative infotainment system. 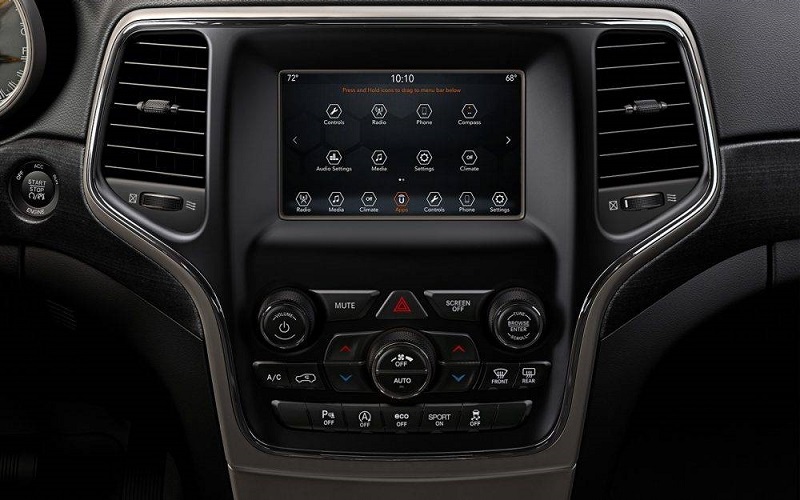 The Uconnect system provides you with Bluetooth streaming audio, voice command, and navigation, which comes to you on a vibrant 8.4-inch touchscreen that is easy to operate. The Uconnect system offered with the Upland also supports Apple CarPlay and Android Auto. In addition, SiriusXM is also available on every Grand Cherokee trim that includes roadside assistance. The 2018 Jeep Grand Cherokee Upland comes with interior blue accent stitching as well as liquid titanium finishes. 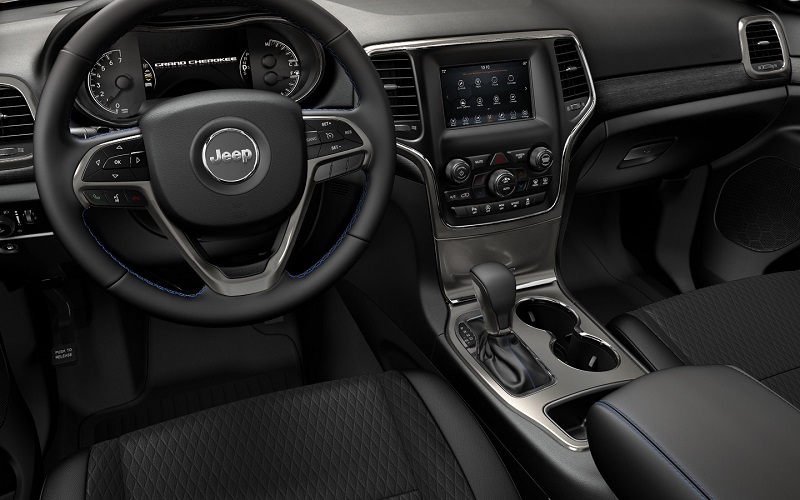 To get a better look at the interior, visit an authorized Jeep dealership near Denver. Mechanical features that come equipped with the 2018 Grand Cherokee include the Quandra-Drive II 4X4 system and the Quandra-Trac II 4X4 system. In addition, there is also an optional Selec-Terrain Management system that provides you with five driving modes: Rock, Auto, Sport, Snow, and Sand/Mud. The 2018 model also offers three available mechanical systems that include Hill Descent Control, Hill Start Assist, and Selec-Speed Control. Hill Descent Control will detect when you are driving on a steep incline and helps you keep a smooth descent by automatically applying brake pressure. Hill Start Assist helps you prevent roll-back by holding the brakes on inclines, and Selec-Speed Control enables you to drive without having to control the brake or throttle at slow speeds. Visit our dealership serving Denver Thornton Boulder to find our more about its mechanical features. The 2018 Grand Cherokee comes with four available engines that all come with an eight-speed automatic transmission system. The standard 3.6L Pentastar V6 engine can produce 295 horsepower with 260 pounds-per-feet of torque. The 5.7L HEMI V8 reaches 360 horsepower with 390 pounds-per-feet of torque, and the 6.4L HEMI SRT V8 engine is capable of 475 horsepower with 470 pounds-per-feet of torque. The most powerful engine that is offered with the 2018 Grand Cherokee is the Supercharged 6.2L HEMI V8 that can produce an impressive 707 horsepower with 645 pounds-per-feet of torque. The 3.6L Pentastar has a towing capacity of 6,200 pounds, and the other three engines have a towing capacity of 7,200 pounds. The 2018 model comes with more than 70 available safety features. The front and rear crumple zones adequately absorb energy and move it away from passengers in the event of a collision. There are also driver and passenger front airbags, side-curtain airbags, front-seat mounted side airbags, and a driver-side knee airbag. Other active safety features that come with the 2018 Grand Cherokee include Forward Collision Warning with Active Braking and Adaptive Cruise Control with Stop. You can also choose to add the LaneSense system that can determine if you are drifting into another lane and provides you with an alert and helps you get the Jeep back in the correct lane. Another innovative safety feature that is available on the 2018 model is SOS Call and Assist buttons that can be easily pressed to connect with a Public Safety Answering Point (PSAP) to let first responders know that you need assistance. The plethora of safety features that come with the 2018 model give you reassurance that you are driving in one of the safest SUVs on the market. To get further safety information about the 2018 Jeep Grand Cherokee, visit our dealership near Denver to speak with one of our friendly representatives. The 2018 Jeep Grand Cherokee is among the top SUVs in its class, which is why it is a top choice among consumers in the Denver area. 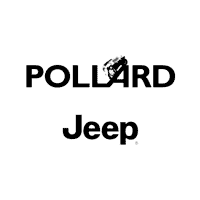 If you are looking for an authorized Jeep dealership in the Denver area, we invite you to visit our showroom serving Denver Thornton Boulder.